Oregon’s first month of taxable recreational marijuana has brought in more money than anybody expected, beating both Washington and Colorado. The marijuana industry is doing even better in Oregon than it was in Colorado when they first started selling recreational marijuana in January 2014. The government can look forward to huge revenues from tax after collecting $3.5 million in the first month of taxable marijuana sales in Oregon. 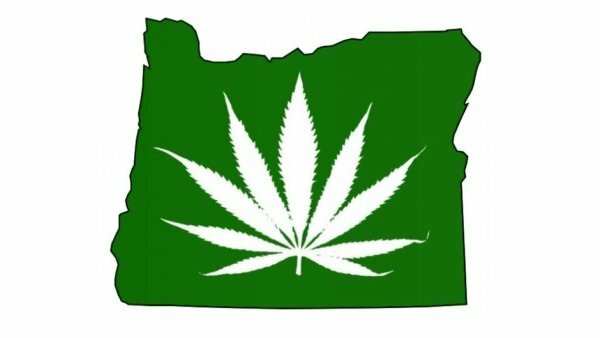 With all of the things that taxpayer money is going towards after the sale of marijuana in Oregon, the marijuana industry is looking to be an enormously positive change for the state. As more data is collected, the number of revenue collected from tax might rise. $3.5 million is a number that is expected to rise, as there were fewer payments than dispensaries authorized to sell recreational marijuana. On Thursday information was released showing that the $3.5 million was collected from 293 individual payments, 16 payments shy of the 309 dispensaries in the state that have elected to be a part of the sales of recreational marijuana. So that means not everybody has filed their taxes yet or some dispensaries simply didn’t sell any recreational marijuana. There are expected to be more updated statistics soon. That means that the money collected by the government might not even be all of it. It’s also likely that after such huge success, those dispensaries not selling recreational marijuana are likely to jump on the bandwagon, and sales are probably going to increase over the coming months. Oregon’s figure is considerably higher than Colorado’s first month of taxable recreational and marijuana sales, which brought in a total of $2.9 million in tax revenue. What can Oregon tax payers look forward to? The beautiful thing about the marijuana industry is the amount it is going to put back into the community through tax payer money. Although some of it is going to be allocated to state police and state and county enforcement, a lot of it will also go into the welfare of the community. 40 percent of the tax revenue will be put back into funding for schools in the state, 20 percent will be distributed to Mental Health Alcoholism and Drug Services, and 5 percent will be given to the Oregon Health Authority for alcohol and drug abuse prevention. The Oregon community has a lot to look forward to in terms of the benefits that the marijuana industry can bring to the community. The marijuana industry is presenting a multitude of ways that it can be one of the biggest industries in modern USA, and the states are benefitting greatly. Hopefully it’s only a matter of time before the federal government jumps on board. What do you think of Oregon’s monthly tax revenue from marijuana? Let us know your thoughts on our social media or in the comments below.